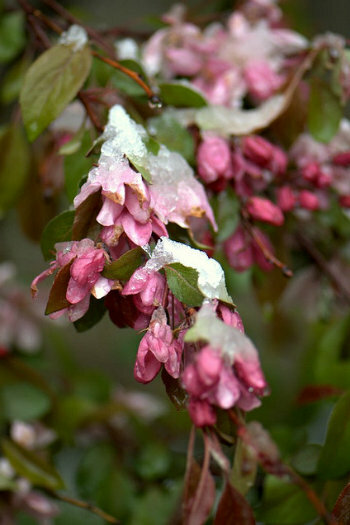 Spring Freeze: How Will It Affect My Flowering Trees and Shrubs? Spring is a difficult season for gardeners. We alternate between elation and concern as we watch the weather forecasts. Warmer temperatures and longer days give us hope that winter is past, while late freezes and storms cause anxiety for the plants that have already begun to emerge from their winter dormancy. 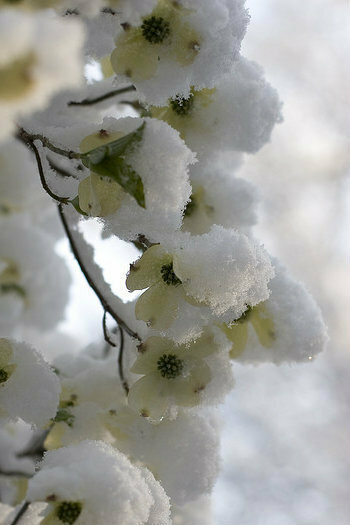 Spring-flowering trees and shrubs are particularly at risk when the temperatures plummet. First, the good news. A sudden brief late freeze is not likely to kill or cause long-term damage to your shrubs and trees, though the early leaves and blossoms may suffer some real damage. Prolonged extreme weather can kill or severely damage flowering trees and shrubs, but the majority of spring freeze events will only cause a set-back. 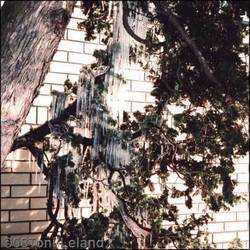 Most trees and shrubs will recover from this type of damage, unless they are a variety already prone to freeze damage. The main deciding factor in how much damage your flowering tree or shrub sustains will be how far along they were in the process of breaking dormancy. If the leaf buds were still quite small, and had just begun to unfurl, you should still be in good shape. Even if actual leaves had begun to sprout, they are just the initial budding. Once the weather warms again, your tree or shrub will put out another flush of leaves. Foliar buds are more resistant to cold damage than flowering buds, but may still experience some browning or mishapen leaves. Once the plant has fully leafed out, the freeze damage may not even be visible. It does drain the carbohydrate resources of the plant to produce a second flush of leaves, but some tender care on your part will help it replenish those resources over the next growing season. The bad news, however, is that flowering buds are much more tender, and more prone to damage from cold temperatures and ice. If your flowering buds had begun to form and break dormancy, your blooms may be history for the year, particularly on plants such as hydrangeas, since some varieties form flowering buds on old wood. Once the buds for the year have formed, a hard freeze can literally nip the blossoms in the bud, and serious reduce or eliminate the flowers for the year. This is a major disappointment on ornamental flowering trees and shrubs, and even more of a let-down on fruiting trees, which will not set fruit without blossoms. As Benjamin Franklin so aptly put it, "An ounce of prevention is worth a pound of cure." So what can you do to prevent freeze damage from occurring? First of all, healthy plants are less stressed by freeze damage than plants which have put most of their resources toward battling disease, poor growing conditions, or dehydration. Be sure to select varieties that are appropriate for your zone and conditions. Do your research before planting in the first place! Select trees and shrubs that have proven themselves storm-tolerant and sturdy enough to withstand ice loads. Throughout the growing season, maintain good structural growth of your plants. Prune according to recommendations for your variety of plant to keep them strong and maintain a good shape. Avoid unnecessary topping and late pruning, which can make them structurally unsound and predisposed to damage from ice and the weight of heavy snows. Take the time in the fall to put your plants to bed properly, providing a thick layer of natural mulch (up to 4" deep, and starting an inch away from tree trunks) to help the ground maintain a constant temperature. Do not fertilize or prune from late-summer on, unless specifically recommended for your variety of tree or shrub, as this might stimulate new growth just as the plant should be storing carbohydrates and preparing for dormancy. If you are in a colder northern location, consider planting your flowering shrubs on the north side of your home. This may seem counter-intuitive, as plants with southern exposure enjoy a slightly warmer microclimate, but the warmer conditions on the south side of your home may encourage early leafing out and budding, which makes the plant more susceptible to a spring freeze. A northern exposure delays the initial budding and minimize the risk of freeze damage. 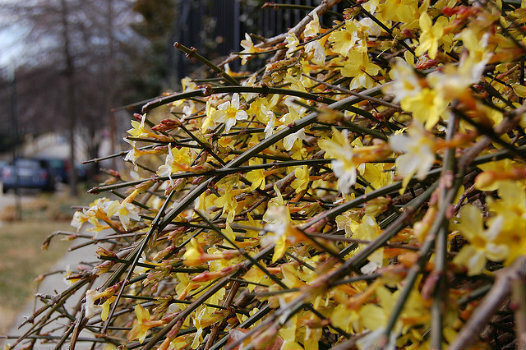 Some flowering shrubs benefit from a warm blanket to offer protection against winter winds and cold temperatures. Burlap is a common material, as it doesn't retain moisture and cause fungal diseases. Newly planted trees may benefit from a protective wrap of burlap or commercially available tree wrap products to shield their trunks and major branches. Hydrangeas in particular benefit from a protective wrap of burlap, especially those that flower on old wood, or on both old and new wood. Buds that form on the previous year's growth form first, and are often lost to late spring freezes. Many newer varieties of hydrangeas bloom on the new wood that grows in the spring, or on both new and old wood, which reduces the risk of losing an entire year's bloom to a spring weather catastrophe. To guard your hydrangea against winter damage, place stakes around the outer edges of your hydrangea, and securely attach burlap to enclose the plant. Fill the open spaces with leaves or clean straw, to provide protection while still maintaining air exchange. If you have a dry winter, provide water when possible, so the plant doesn't go into the spring season already stressed and dehydrated. Some experts even recommend a deep watering a day before a late freeze is forecast. Soil that is moist will absorb more heat from the sun during the day, and return it to the plant during the colder nighttime hours. Citrus growers in Florida sometimes spray their trees with a fine mist of water as the temperatures reach the freezing point, as it allays some of the dehydrating effects of wind, and keeps the temperatures of the leaves near 32 degrees F.
If a hard frost is in the forecast, covering your plants may be beneficial. Covering with sheets or groundcovers will not protect from freezing temperatures, but it will shield tender buds from the damage of a hard frost. Plastic covers can be disastrous, as they retain the moisture, which then freezes. A woven, breathable cover is allows ventilation and some moisture exchange, and doesn't encourage fungal diseases. If you do cover your shrubs and very young trees, you may need to insert stakes or some sort of supports to keep the weight of the covers from snapping brittle stems and branches. Covers are most effective if they are held away from contact with the foliage or plants, so it doesn't transfer heat from your plant into the surrounding air. Make sure the covers are large enough to reach the ground, and are staked or weighted down. This prevents heat loss, and also prevents wind from catching the covers and either removing them, or rendering them largely useless. You can add extra heat under the covers by wrapping the shrub in Christmas tree lights. Even a couple of degrees can mean the difference between losing a year's blossoms, or enjoying the show later in the season. Filling empty milk cartons or two liter soda bottles with warm (not hot) water and placing it around the small tree or shrub, beneath the cover, can also add a few degrees of critical warmth. Large stones, bricks, or cement blocks can even be placed in the sun or inside the house to warm during the day, and then put near (but not touching) the plant beneath the covers to radiate a little warmth overnight. Whenever possible, remove the covers during the day to provide proper ventilation and allow the sun to warm the plants. If you have trees such as palms with large, flexible branches, consider tying the leaves either upward together, or down against the trunk. Wide horizontal leaves accumulate more ice and snow, and are more likely to be damaged. Binding the leaves together in a vertical position may save them from breakage and dehydration. If your young trees are too large to cover, and heavy ice accumulation occurs, you may need to provide some extra support to prevent bending and breakage from the weight. Gardeners as a group tend to be very innovative, so put your MacGyver skills to work and see what you have in your garage, shed, or basement that you can use to prop or stake it. Floodlights may be able to provide a little extra warmth, but are not practical for larger trees, or on short notice. Don't attempt to break off the ice build-up on your trees, as you are more likely to damage the protective outer layer of bark in the attempt, and maybe even shatter the brittle branches. Heavy ice, however, can be gently removed if you can do so without damaging the tree or shrub. 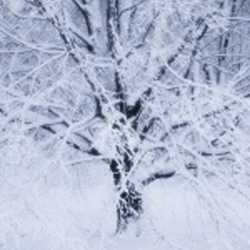 Snow can act as an insulator, so only remove it if it appears to be weighing down the branches to the point of breakage. If cold damage does occur to your trees and shrubs, resist the urge to immediately prune back the damaged areas. If you prune back the damage too soon, you may encourage new budding and growth, which leaves the plant susceptible to the next threat of cold weather. Try to wait until after the last frost date for your area. If you live within the United States, Dave's Garden has a handy feature with which you can look up the average last frost and freeze dates for your area. Click HERE to find information for your zone. It is prudent to delay any pruning if there is still high risk of more freezes in your area. Wait until warmer weather to prune into the undamaged plant material. Once the threat of subsequent freezes is past, you can prune back branches that seem to be beyond recovery to the point of live, green wood. Use good pruning techniques: never leave a stump or stub extending from the trunk of the tree. If you are unsure how to prune your tree or shrub, do some research before you start cutting, and work in stages. It is critically important for the long-term health of your plant to provide a stable, well-branched shape that will withstand future stresses. Be aware that pruning in the spring months will cut away the buds that have already begun to form, reducing the flowers this season, and eliminating the fruits that would have formed on fruiting trees. Excessive pruning puts the plant into "panic mode," encouraging it to send out multiple smaller, weaker branches rather than forming a few strong, supporting branches. If your tree has sustained severe damage, particularly from breakage from an ice storm, you may have to make a hard decision. If a majority of the branches are damaged or broken, or if you are concerned about the structural integrity of the remaining primary branches, you may need to remove and replace the entire tree. If less than 50 percent of the branches are damaged, you may need to consult a professional arborist about the best way to proceed with pruning to maintain the safety and health of the tree. Do your research on your fertilizers, and select one appropriate for your particular tree or shrub. Some encourage leafy growth, while others are more appropriate for flowering and fruiting trees or shrubs. If you consistently have a healthy, green leafy shrub or tree, but poor flowering and fruiting, your fertilizer may be to blame! Watch for insect and disease damage in the seasons following damage to your tree or shrub. Stressed plants tend to attract attack from pests and diseases, and areas that experienced breakage or inexpert pruning offer a point of entry through the plant's usual defenses. Keep a wary eye on your plants, and intervene if you see that they are under attack. Consult area greenhouses, the local extension service, or the Master Gardener's program in your area if you need advice to help your tree or shrub recover. Frozen bud thumbnail, Flickr Creative Commons, by delgaudm, some rights reserved. Ice on pink blossoms, Flickr Creative Commons, by thorinside, some rights reserved. 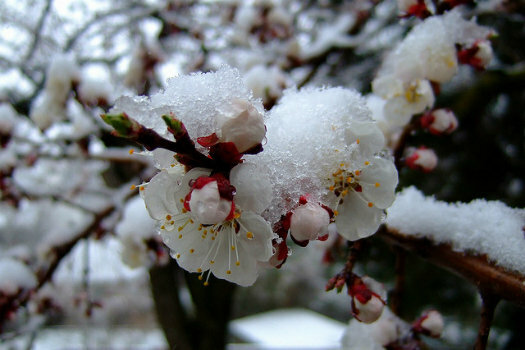 Ice of apricot blossoms, Flickr Creative Commons, by lowjumpingfrog, some rights reserved. 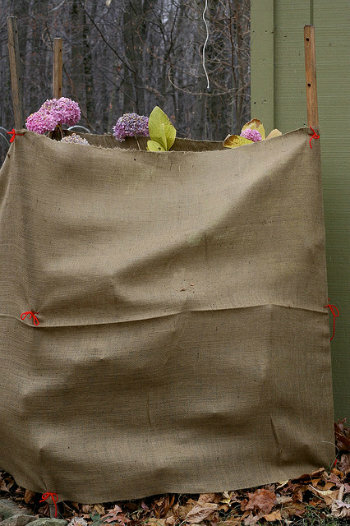 Hydrangea wrapped in burlap, Flickr Creative Commons, by Chiot's Run, some rights reserved. Ice on forsythia blossoms, Flickr Creative Commons, by martha_jean, some rights reserved. 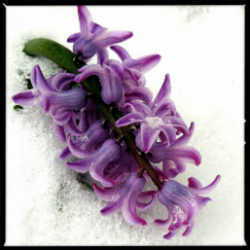 Also refer to the first article in this series, Spring Freeze: How Will It Affect My Spring-flowering Bulbs? Winter's Wrath: Ice and Snow Damage Winterize Those Trees and Shrubs Spring Freeze! How Will It Affect My Spring-flowering Bulbs?